The Quick Add Reference extension learns about types and corresponding assemblies as you add them using the standard Add Reference dialog. Once you’ve added an assembly manually, Quick Add Reference remembers it and in the future will offer you an option to add it via the popup menu. The free Quick Add Reference extension supports only Visual Studio 2010 and C# language. You can download it from the Visual Studio Gallery. 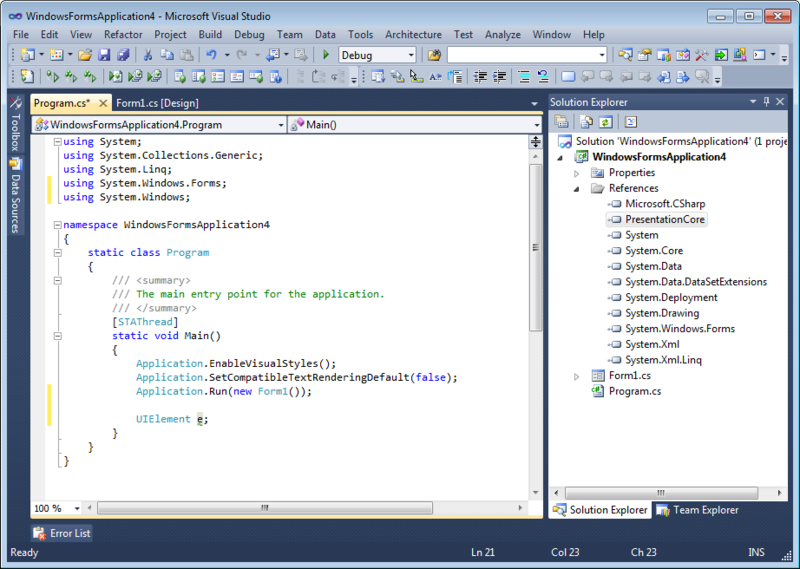 I have added this add-in to my Visual Studio 2010 and can also see it in my Extension Manager as installed. But still I do not get the option to add a reference whenever I type a class name whose reference has not been added. I also restarted my PC after installing the add-in, but no success. Quick Add Reference is probably doesn’t know the corresponding assembly for your class yet. Try to add this assembly as usual using the standard Add Reference dialog. After that for all your other projects the add-in should work as intended. Maybe someone who downloaded this extension could share it?